After studying together at Manhattan School of Music, Ivan Jackson and Conor Rayne linked up to form production duo Brasstracks in 2014. Since their early beginnings in the SoundCloud space they have released an array of critically acclaimed covers and remixes, toured with Lido, Mr Carmack, Jack Garratt, GRiZ and BigGigantic, played iconic venues such as Denver’s Red Rocks, and featured/produced on songs with GoldLink, Anderson Paak, Lido, and Khalid. August 2016 saw the release of their debut EP, Good Love featuring collaborations with Roses Gabor, Jay Prince, Lido, FatherDude and Masego, and their Good Love Fall Tour. Most notably however, Ivan and Conor produced Chance The Rapper's "No Problem" featuring Lil Wayne and 2Chainz. Brasstracks' latest EP, For Those Who Know Pt. 1 is an ode to their home, New York City, and features talented collaborators Robert Glasper, The Underachievers, BXRBER, FATHERDUDE, and S’natra. 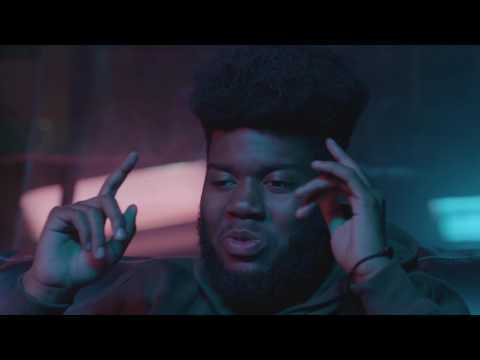 adidas Originals | Yours Truly | Songs From Scratch | Brasstracks x Khalid "Whirlwind"
August 24, 2018 Find your weekend inspiration in this week’s #NowWatching Playlist, overflowing with the talents of Masego, Kailee Morgue, Soccer Mommy & more. July 25, 2018 In celebration of Chance, and the influence he has had on the rap scene at large, we hand-selected seven artists you need to know if you’re a fan of Chance the Rapper.